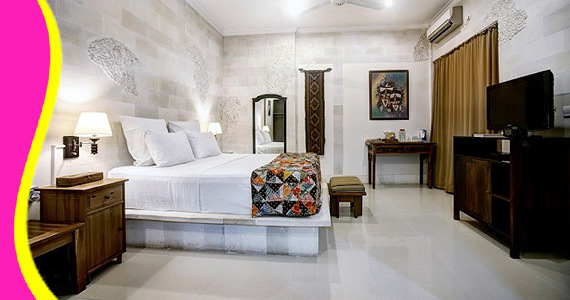 Sea Breeze Villa has 16 private air-conditioned Bedroom Suites with granite floor, natural stone wall and breathtaking large terrace views overlooking the Indian Ocean. 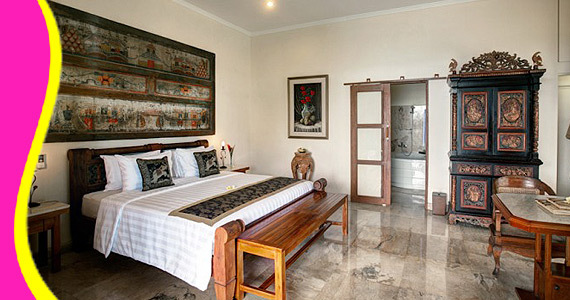 The bedrooms are ideally suited to sleep 2 to 4 people. 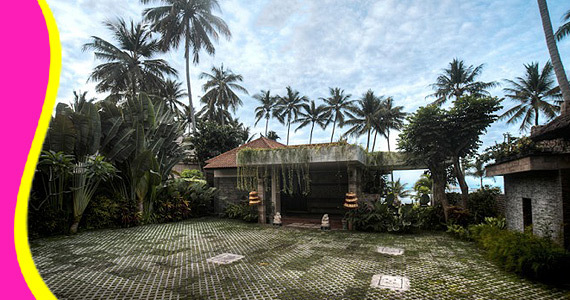 Each bungalow has large terrace overlooking the sea and a garden. 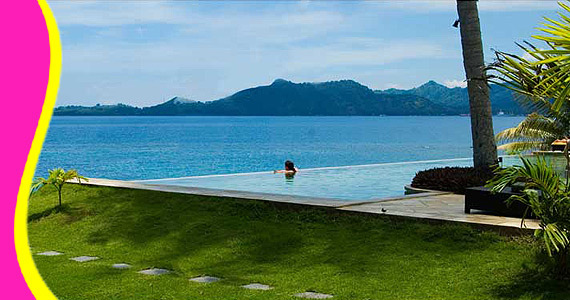 Our two infinity swimming pools are designed for maximum relaxation. 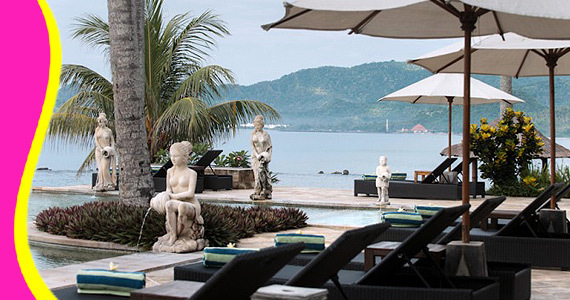 Alternatively, you can relax at our outdoor Bale or chair near the water edge with private white sandy beach to enjoy the view and feel the gentle sea breeze. 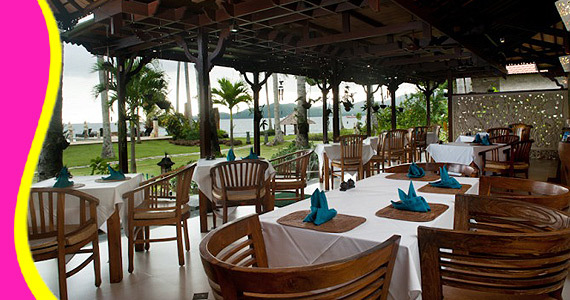 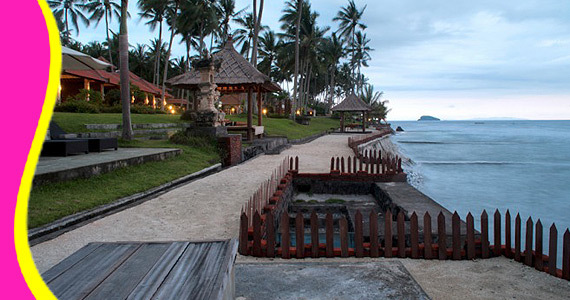 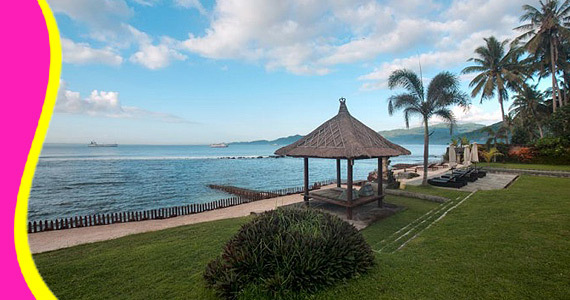 Sea Breeze has 150 meters wide seashore for the guests to enjoy the amazing beautiful views of open sea. 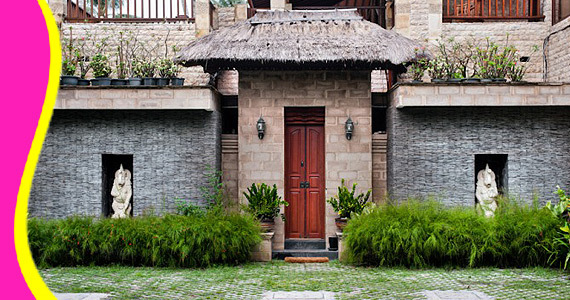 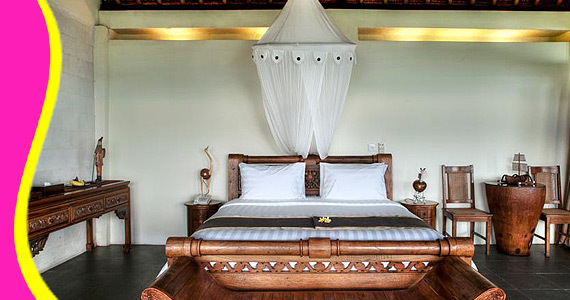 The traditional architecture, designed by the owner - Kristina Roberts, utilizes local materials from Bali and neighboring Indonesian islands. 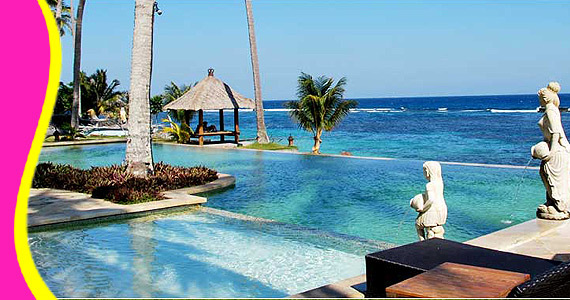 The turquoise waters of the dreamy, palm fringed swimming pool appear to overflow into the azure sea have made this place best suited for couple and/or family enjoyment. 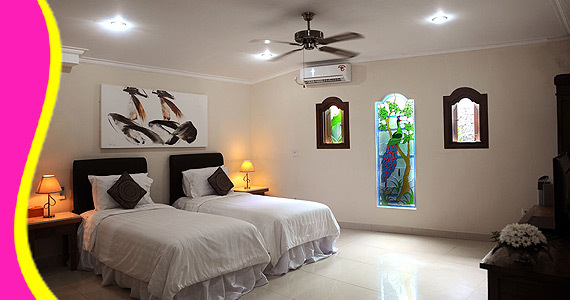 Contact us for Reservation or Booking of Sea Breeze Hotel, Candidasa : +6289666777488 (for further Sea Breeze Hotel in Candidasa details & rate deals).